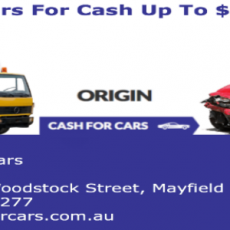 Origin Cash For Cars is paying up to $9999 with free car removal service to all Newcastle Regions. We ensure to pay you as much as possible for your old, damaged, scrap or unwanted cars. When it comes to selling your car “Origin cash for cars” is Newcastle resident’s choice as we offer reliable and hassle free service. The removal only takes 5 minutes and can be arranged same day. Find out more about unbeatable cash offers for cars on our website.